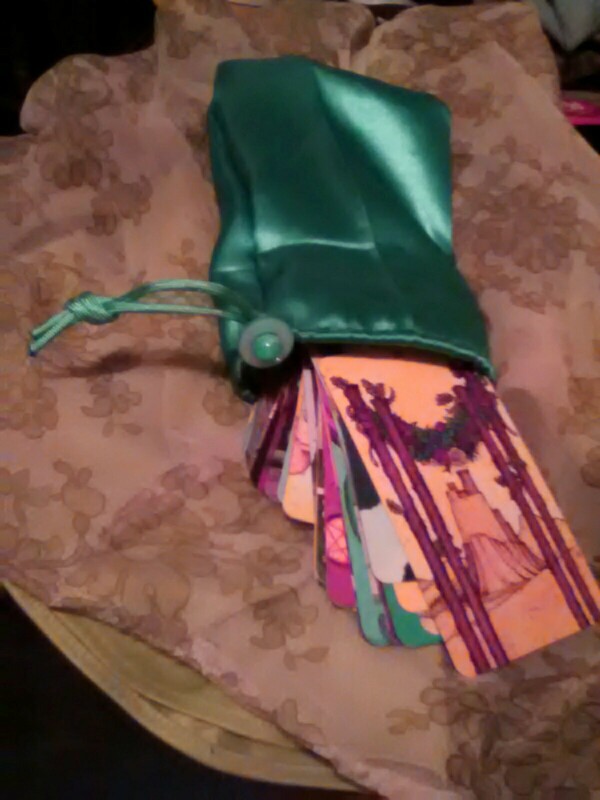 Tarot card bag. Hand-sewn, no machine stitches. Aquamarine blue costume satin.